O'Brien weaves together the stories of five remarkable women: Florence Klingensmith, a high?school dropout who worked for a dry cleaner in Fargo, North Dakota; Ruth Elder, an Alabama divorcee; Amelia Earhart, the most famous, but not necessarily the most skilled; Ruth Nichols, who chafed at the constraints of her blue?blood family's expectations; and Louise Thaden, the mother of two young kids who got her start selling coal in Wichita. Together, they fought for the chance to race against the men -- and in 1936 one of them would triumph in the toughest race of all. 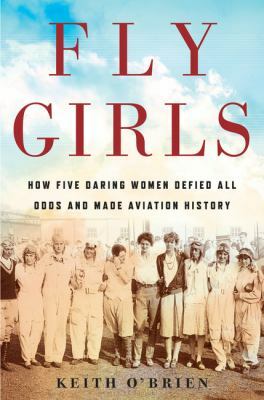 Like Hidden Figures and Girls of Atomic City , Fly Girls celebrates a little-known slice of history in which tenacious, trail-blazing women braved all obstacles to achieve greatness.